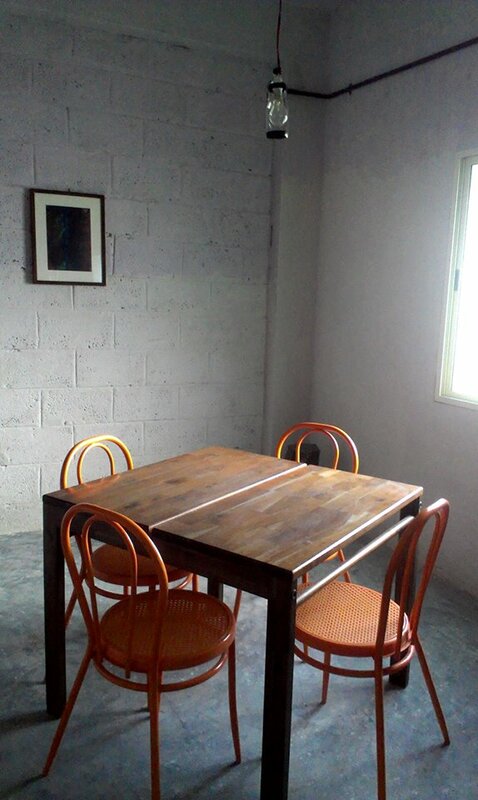 I kickstarted 2014 with a new office and the madness called ‘transfer & set up’. I felt like I was restarting i2cook but with a bit more experience and help. Couple of months have been busy with birthdays and family time too! I seem to have finally settled into my new space and hoping this year to be a super duper one and promise to bring you more recipes! I maybe a little late at sharing the ginger bread recipe adapted from 101 Cookbooks. 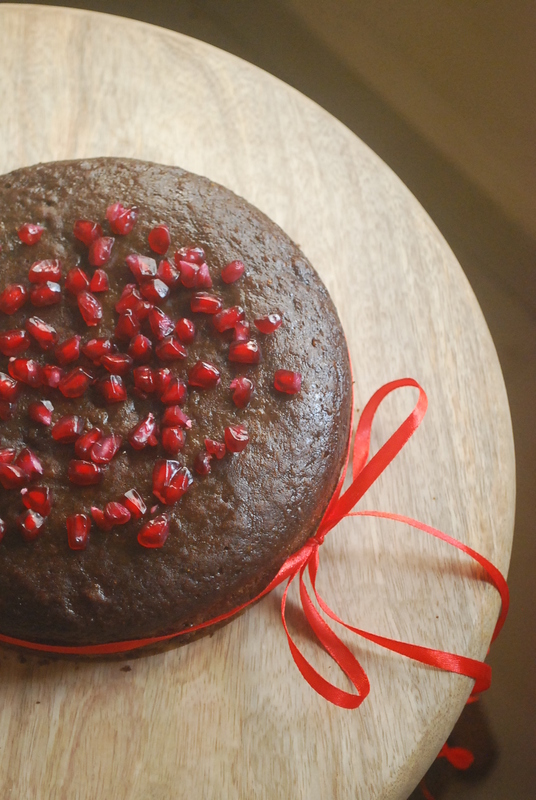 But this cake has become my all time favourite cake to bake any time of the year. Baking a cake has its own positive energy! I like to use only unrefined ingredients. I avoid using maida in my baking and use wheat flour or gluten-free flours. If you are not comfortable using 100% whole wheat flour, I suggest you change the proportion to 50-50 mixed with multi-purpose flour (maida). We are going to use three types of sweeteners in this cake. Remember my post about natural sweeteners… We are using raw sugar, molasses and honey. Molasses does a perfect job at giving that nice flavour which can get you addicted. This cake is good for any occasion. You could add some walnuts to it and have it as a tea cake or just have it plain. 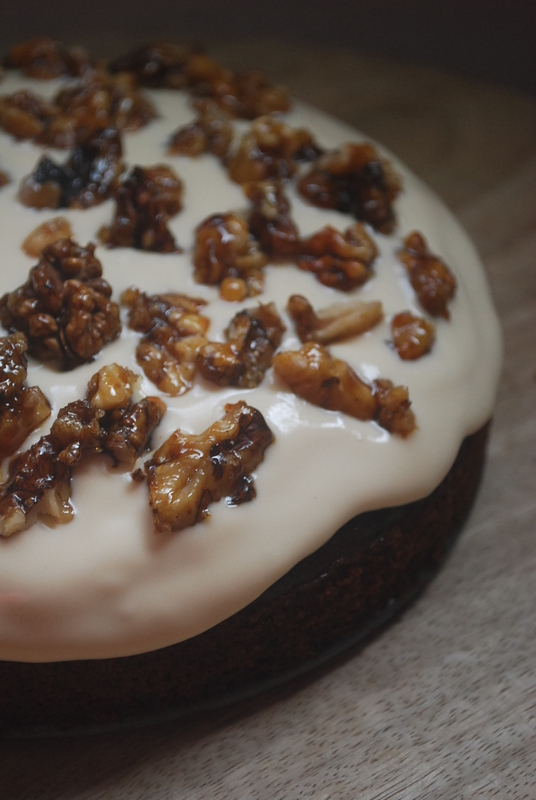 I served this cake for my brother’s birthday with some cream cheese flavoured with coffee and garnished it with some caramelized walnuts; his reaction was a silent smile. 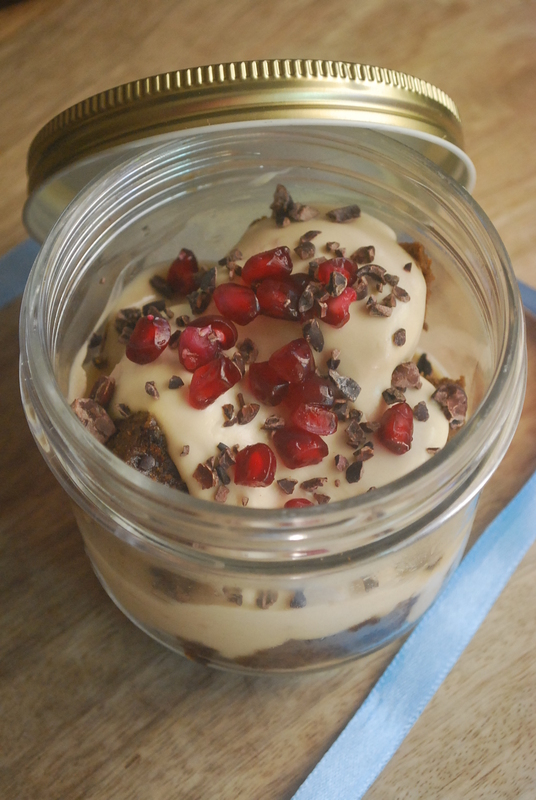 You could also make a trifle and gift it to your friends. This cake is versatile and with a little creativity with flavours can get your guests asking for more! Measure and mix the dry mixture along with grated ginger. Mix well and set aside. Measure all the wet ingredients like butter, sweeteners and water in a non reactive pan. Heat on a stove top until the sugar and butter has melted. Keep aside to cool. Add eggs one at a time to the wet mixture while it is warm. Add milk and mix well. Add the wet mixture to the dry mixture and mix well. Pour them in the desired pans and bake in a pre heated oven at 160 degree centigrade for 45-50 minutes or depending on your oven settings. Once baked, allow it to cool for about 30 minutes before removing it from the pan. Serve warm or at room temperature. 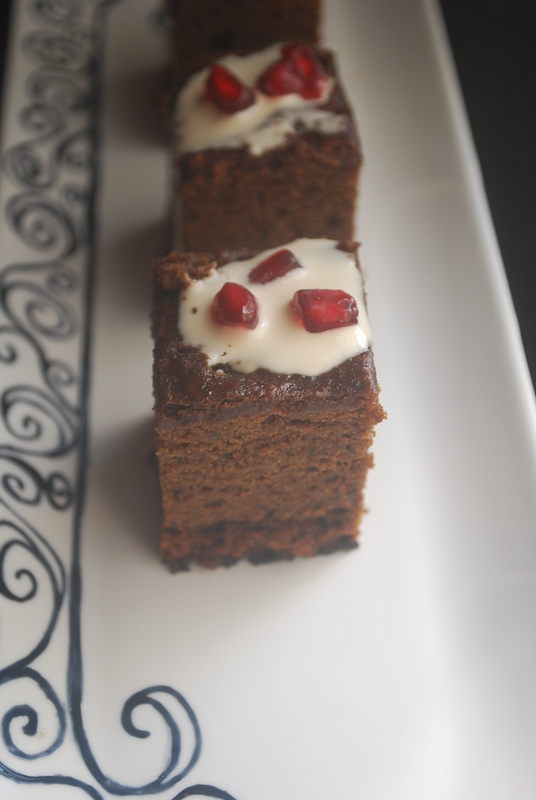 Gingerbread cake is good for any occasion – topped with coffee flavoured cream cheese and caramelized walnuts.